Below are some of the images that I took in 2017 that are also my favorite. Hope you will like them too ! Year 2017 brought generous rains to California as a huge relief to the state that was reeling under severe drought for the past several years. 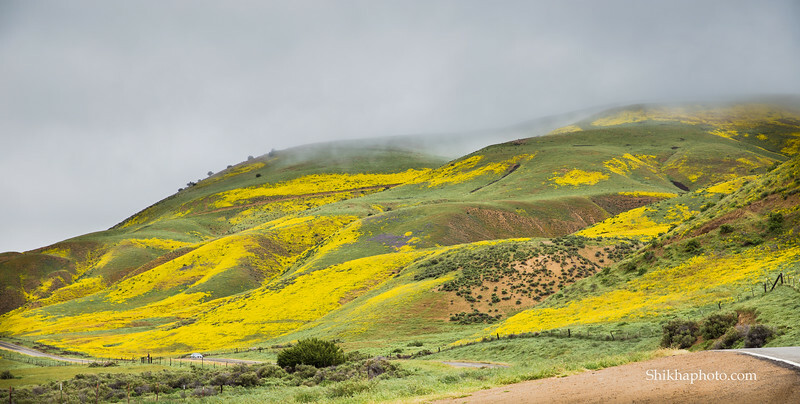 The rains gifted parts of the state with wildflower super bloom in spring. 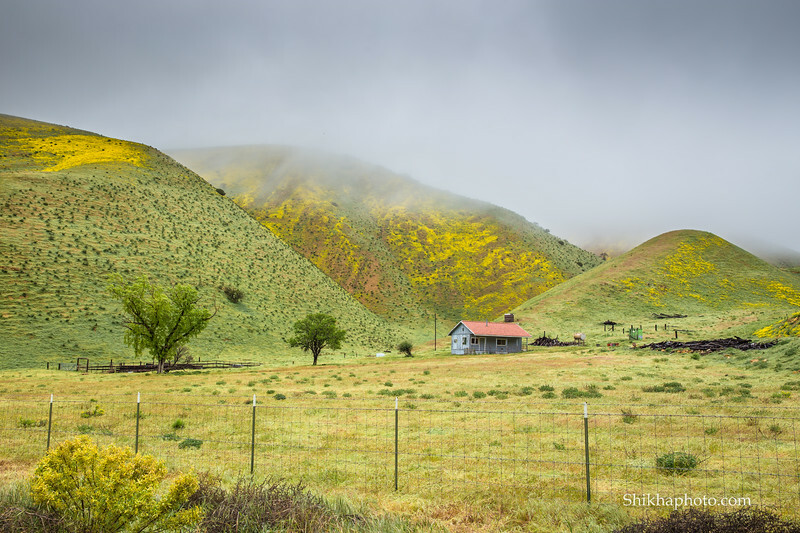 The Temblor Range near Carrizo Plains National Monument erupted into a riot of colors. Filtered sunlight through the magical mist and fog illuminated the rolling hills draped in greens and yellows. 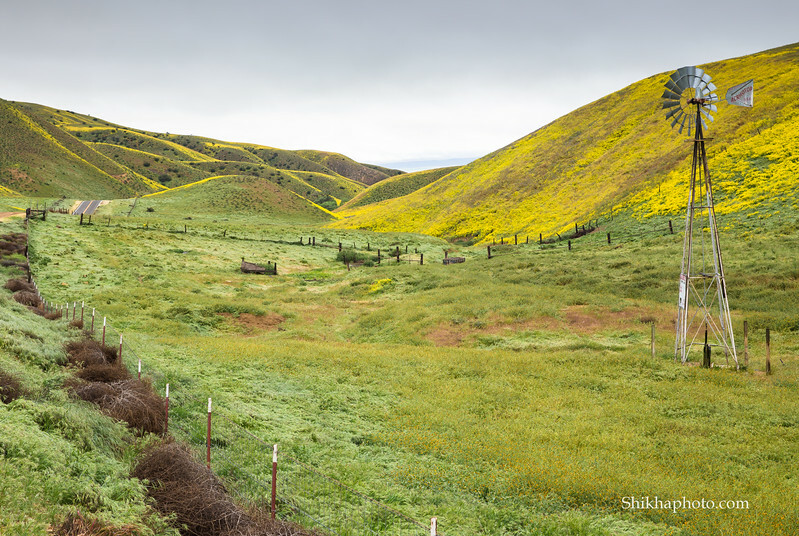 The super bloom in the Carrizo Plains National Monument was past the peak but the surrounding hills were a treat to watch. 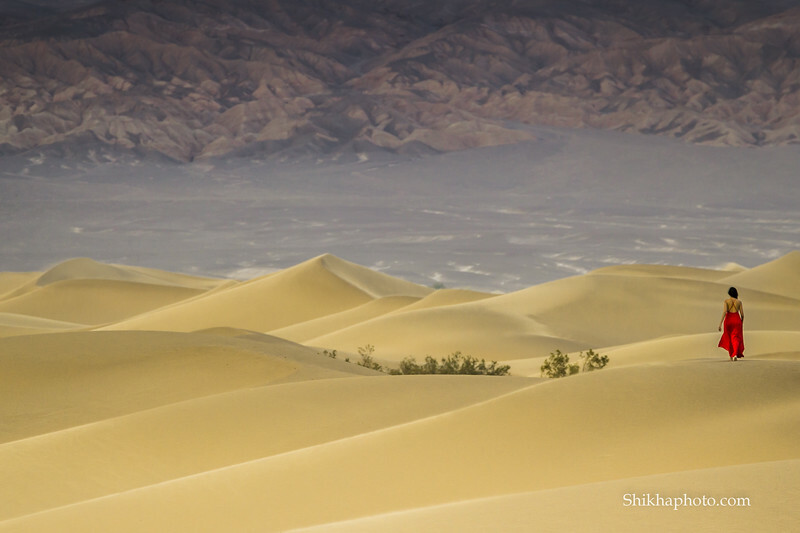 In Death Valley, the land of extremes - This image is not staged. I was waiting for the sunset when I spotted this lady in red at a distance. I used my telephoto lens to include her in my composition. Later I walked to her to let her know that I have taken her image with sand dunes. 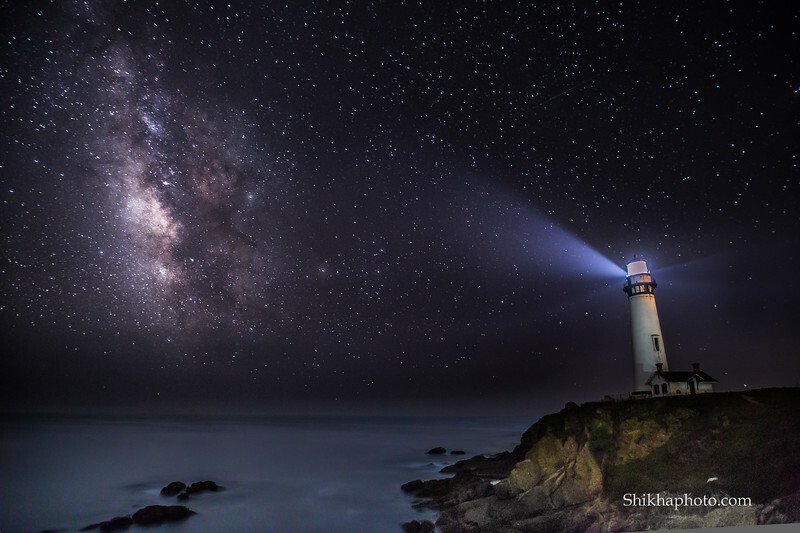 Lighting the Galactic Core - Along the beautiful Pacific Coast Highway is a historic lighthouse, called Pigeon Point at a location that has amazing dark skies during new moon. The drawback, however is that it almost always gets foggy at night. Had planned for the shot around the time when the galactic core was at the same height as the top of the lighthouse. I had barely shot a few images when the fog rolled in. It was midnight and I had to pack off to drive back home. Standing at 282 feet below sea level, the lowest point in North America, this vast salt flat lay in front of me, extending to the horizon. 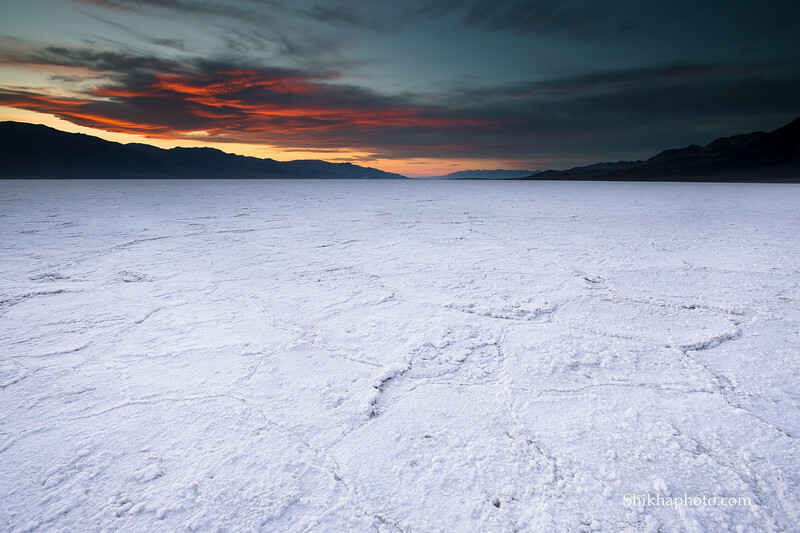 The sun had set, leaving the sky blazing red and the white salt flat reflecting its light. White and red complemented each other beautifully. It was a sight that will remain with me forever. Though I did not get to see raised salt polygons, despite having walked deep inside the flat, it was an extraordinary experience. Take me to the rolling hills ! 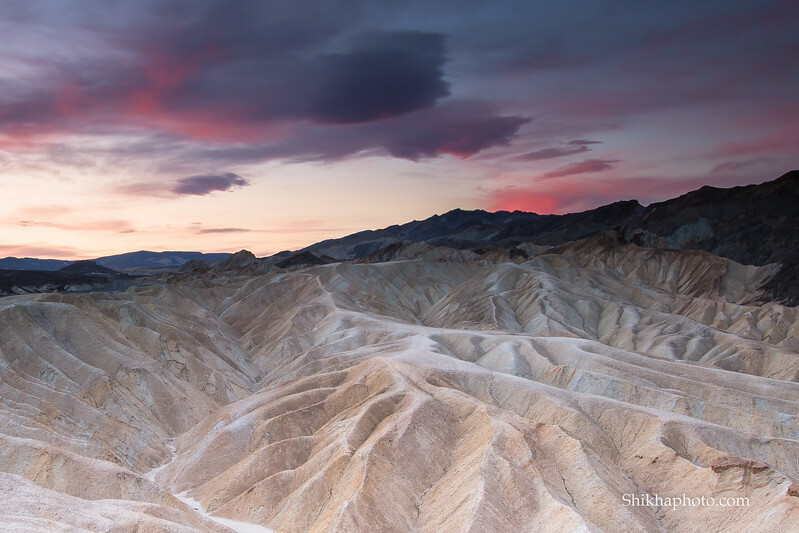 Death Valley National Park - Hoping to catch the morning twilight, I arrived here early. It was still dark and there was deathly silence that resonated with the name of the national park. 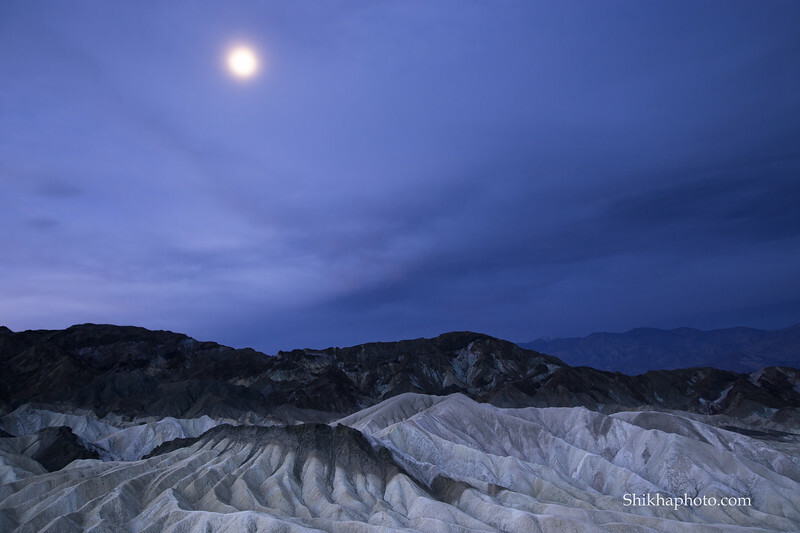 The badlands formed by fierce action of water, earthquake and volcanic ash glistened in the moonlight. 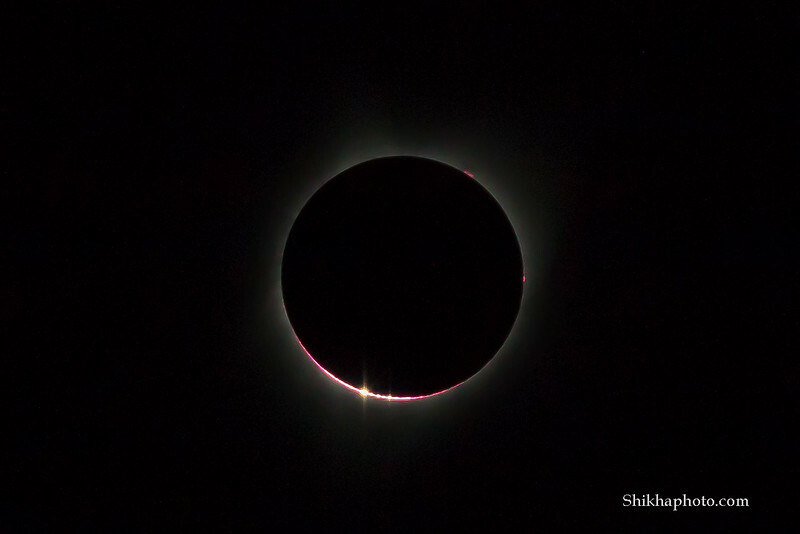 Baily's beads - Finally the celestial event so powerful that moved me into tears ! 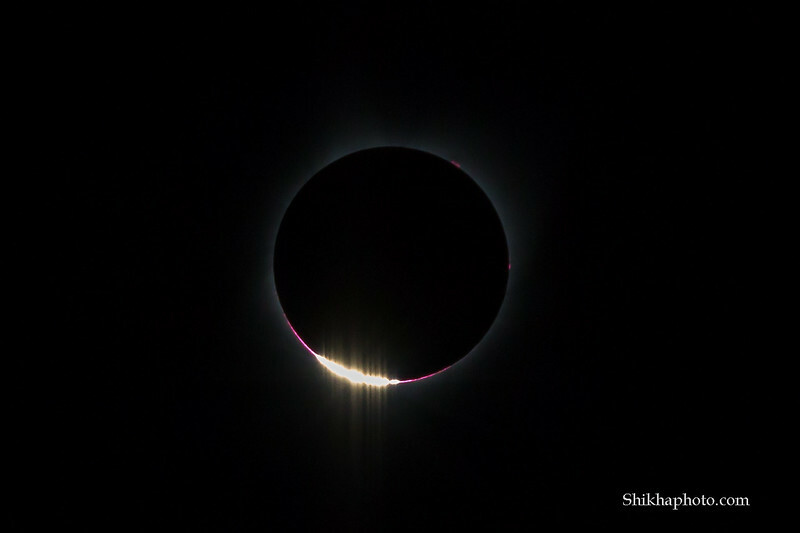 As the moon blocked the sunlight towards totality, some light still shone through the valleys of the jagged mountains on the moon forming the divine Baily's beads effect. Ever seen a ring as beautiful as this one ? Canon 6D, Canon EF 24-70mm f/2.8L II USM Lens, Canon EF 70-300mm f/4-5.6L IS USM Lens, silk pro tripod with Manfrotto 496 RC2 ballhead, Lee 3 stop hard and soft edge neutral graduated density filter. All the images are single shots. I try to reduce dynamic range by making use of Lee GND at the time of shooting. I work on white balance, highlights and shadows when converting image from raw to jpeg in Lightroom. No content is added or removed in post processing. I do not add any dreamy software effect to clouds and water. 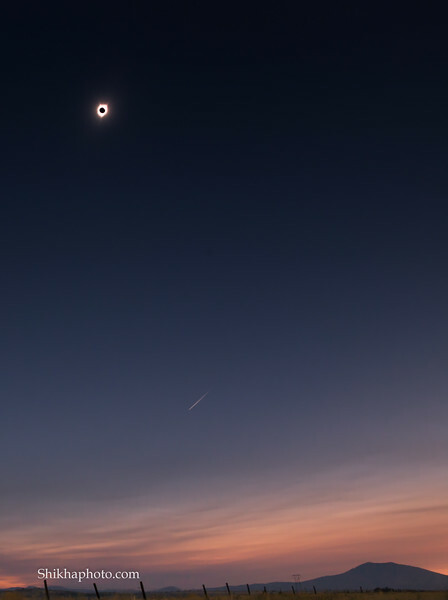 I never add moon, rainbow, sunset clouds, and people in post processing. Thanks for visiting my gallery. To checkout my other galleries visit my Homepage. You can also follow me on twitter. I recently joined instagram .